QCOSTARICA – The eagle has landed in front of boarding gate number nine of the Juan Santamaria (San Jose) international airport, the first “Imperial” bar in the country for Ticos leaving the country and visitors waiting for their connection. The bar, strategically located to give the brand maximum visibility, can accommodate 46 people. 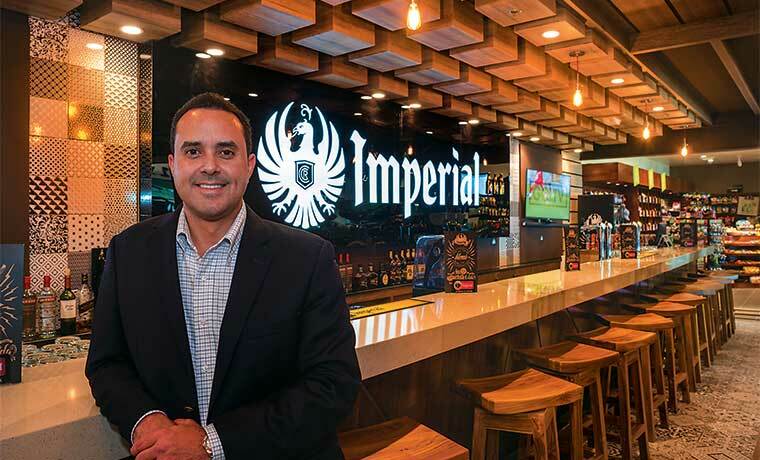 “The concept of Imperial Bar was developed with the intention to provide our consumers the experience of Costa Rica, so our commitment is to bring something of our essence, what best represents us, the Pura Vida,” Rolando Carvajal, the regional director of food and beverage at Florida Ice & Farm (the brewers of the Costa Rica’s beers), told La Republica. In addition to selling beer, on sale are “Imperial” caps, glassware, openers, t-shirts and special seasonal promotions. Visitors arriving in Costa Rica unfortunately will not get the experience since it is located in the departures level. Unlike the old days at the airport, arriving visitors are moved directly to the arrivals level, they will have to wait for the experience until leaving the country. Next articleThings only someone who’s been to Costa Rica will understand!